BR880 solid sector shaped conductors for trackside signalling power supplies. Conductors Sector shaped solid plain aluminium to IEC 60228 class 2 or 5. Insulation XLPE type GP8 to BS 7655 or PVC type TI 1 to BS 7655. Core Wrapping PETP (Pol yethy lene Terephthalate). Sheath PVC type 9 to BS 7655 (LSZH can be offered as an option). * Aluminium conductors 10mm^2 to 35mm^2 circular only. 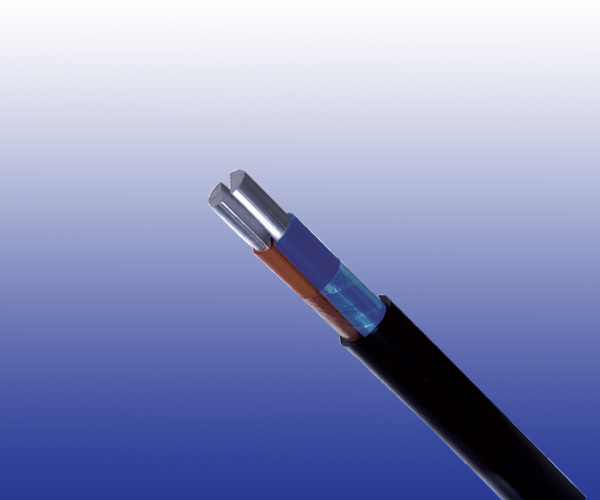 ** For single core cables, four sectoral shaped conductors may be assembled info a single circular conductor. The maximum resistance of the assembled conductor shall be 25% of that of the individual component conductors.